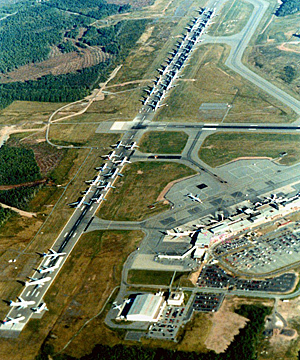 We landed in Halifax around 1 p.m. on September 11, 2001, and only then got the news about the attacks, and then we waited aboard our plane hoping that the FAA would open the airspace up back in the United States to let us fly home. After two hours without even a hint of departing, it seemed unlikely that any of the forty-two stranded commercial jets were going anywhere soon. And our 777 was parked at the end of that queue. No one knew that it would be Saturday before we flew home. But we had access to the pilots, so I put on my journalist’s hat and found a spot to stand unobtrusively near the open cockpit door. I looked in and was struck by the complexity of the massive instrument panel. I heard the scratchy, AM radio signal coming out of Halifax that was the pilots’ source of sporadic newscasts about the attack, much of it still rumor. The pilots said Hello to me and returned to their conversation. The atmosphere appeared busy but relaxed. A flight attendant occasionally walked up to check in with the pilots about life in the cabin. 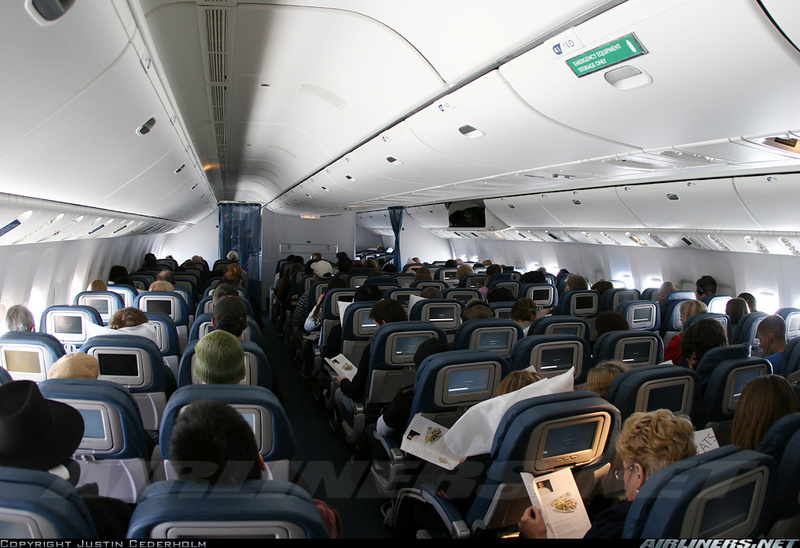 Two flight attendants arrived and explained that the cabin was getting stuffy and some passengers were getting ornery. Others need a smoke, one said. Water and snacks are running low and two infants need formula. Squeezed into my spot near the cockpit, I listened to nearly sixty years of experience process each problem and take wise decisions. Captain Williams radioed the ground crew for water, lunches, and baby formula. He announced that the port side door would be opened for fresh air and the port rear door for those who needed a smoke. “But don’t crowd that rear area, please,” he said. “Take turns smoking. And try to keep your smoke outside the plane.” Such gestures lightened the mood and brightened outlooks considerably in our cloistered social microcosm. I later learned that decisions made by crews on some of the other grounded carriers had not been as wise. There was still the crucial matter of reaching my wife. I had no idea if she knew where I was. After we landed in Halifax, a flight attendant had been letting me borrow her cell every so often, but it was impossible to get an open line each time I tried, so after two hours I stopped trying. Nodding to Captain Williams, I relinquished my space to another passenger and walked the narrow aisles a few times. From that brief reconnaissance I knew that it was still pointless to borrow “Terri’s” cell again. I saw only one or two passengers talking on their phones; others who had phones were still wearing out their resend buttons. I would wait. There would be more stories on this plane. I kept my journalist’s hat on and stopped at the side port door to take in the fresh air. I struck up a conversation with a friendly couple who, apparently like me and many others, had no phone. They introduced themselves as Robert and Georgia, from Memphis. Robert, a Christian minister, explained that they had been in London for the opening ceremonies of a colleague’s church. While we were comparing notes about London, we heard the mike cue. Captain Williams announced that the FAA had decided not to reopen U.S. airspace today. “We might be here for another day,” he said. As Robert and I were considering the implications of this development, his trouser pocket suddenly began beeping. His daughter in Memphis had been playing phone robotics herself and had finally beat the odds. Voilà! A connection. Nearby passengers were astounded. After he finished talking to his daughter, she took my wife’s number and promised to get hold of her to explain where I was and that I was okay. Lunches began arriving through the side port door. I moved off to get one. What should strangers stuck in crisis do? Try to make their situation better. Somehow the Halifax ground crew, the crew of our Delta flight, and we passengers were all pulling together in that direction, helping one another cope as best we could, hour after hour aboard the 777, with the resources we had to hand. Jesus’ Good Samaritan was no longer a mere story to me. The collective pulling together for our common good continued at the base. This entry was posted in ON 9/11 and tagged 2001, 9/11, Delta Airlines, Halifax Nova Scotia, Septmber 11, stranded passengers by Charles Strohmer (c) 2014. Bookmark the permalink.